The show’s penultimate episode, “Worth” lived up to the hyp of any proper penultimate. There was drama, action, betrayal and tough decisions abound for every member of the fueding clans. Given that before this episode aired, the show had roughly two hours to wrap up the war storyline that has been playing out for an entire season. as a result, it was guaranteed that we would be getting some answers to some burning questions. Lets get to it. The episode opens up with Rick (Andrew Lincoln) reading Carl’s (Chandler Riggs) last letter to him. This is an emotionally taught few minutes where we actually learn what Carl envisioned for Rick. Carl’s letter describes times of glee and carelessness of childhood, and ultimately hopes that that same type of life can exist after the apocalypse. The letter asks for Rick to get peace when and where it is possible, foreshadowing an end to the war where all of the communities, even the saviors, work together. If you will remember back a few episodes, Aaron (Ross Marquand) is out trying to convince the seaside women’s village to join in the fight against the saviors. He has obviously been at this for some time. Aaron is dehydrated, weather-worn and apparently starving. Some seaside members come upon him, and they basically tell him to get lost and that they will not hear him out. Later in the episode, a sleeping Aaron is awoken by some encroaching walkers. He takes out five and drinks some rainwater before some more seaside villagers come upon him. He makes another plea, and the resulting decision of the seasiders isn’t clear. We see Eugene (Josh McDermitt) explaining his favorite recipe (sardine macaroni and cheese) to his people at the bullet making outpost. He gets preachy with some of his workers and tells the workers that he is going to test some of the bullets they have made. When he walks outside, he is quietly abducted by Rosita (Christian Serratos) and Darryl (Norman Reedus). They begin to walk him to the Hilltop. 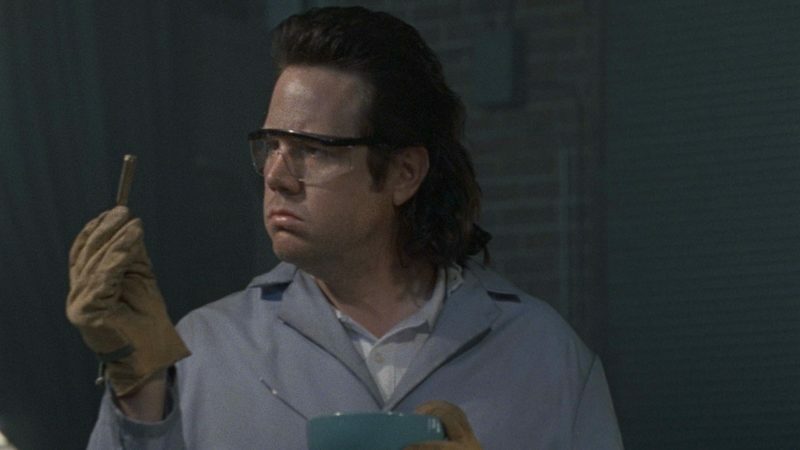 Eugene tells Rosita that he does not like the way things have gone and that he thought Negan would have tortured and killed him. She tells him how worthless he is and says that he will continue to live, but as a pitiful excuse for an existence while he teaches the survivors something once in a while. Eugene takes an opportunity to vomit on Rosita and runs away. When he returns to the Sanctuary, he is an angry and bitter shell of himself. If he was questioning being a Savior before, he certainly isn’t now. The Sanctuary is where the vast majority of the development takes place during this episode. Simon (Steven Ogg) is having a conversation with Gregory (Xander Berkely). Simon implies that Gregory will be killed, and Gregory has an outburst. Assuming he is in total control of the Sanctuary, Simon tells Gregory that the two will “see how it goes,” whatever that exactly means. We will find that it doesn’t much matter, though. Negan (Jeffrey Dean Morgan) has a conversation with Dwight (Austin Amelio) about Dwight’s intentions when Negan’s car was found crashed into a building. Negan seems happy with Dwight’s response, and lets him go, telling him that he will come through for Negan when the time comes. The next scene is in Negan’s inner sanctuary (Yes, that pun is intended- hah!) and Negan confronts Simon for attempting to usurp his position of power. Negan orders Simon on his knees, and we assume the end is here for our favorite loose cannon. At the last second, Negan forgives Simon. Simon tells Negan that he will make everything up to Negan. Negan follows this little dramatic display of force by detailing a plan in which the Saviors will take the Hilltop. Dwight sends the plan to Rick by way of Gregory and Simon immediately tries to rally the anti-Negan forces. Dwight rats on Simon and Negan catches the group in the act. Meanwhile, Gregory delivers Negan’s plans to Rick. The team seems to be taking the bait. Negan tells Simon that the two will settle their differences like men, The two fist fight in front of all of the saviors. The fight ends with Negan choking out Simon. Negan ends the fight yelling that now he has to kill everyone who ever pushed back. Negan offers Dwight his second in command. When they arrive at Dwight’s apartment, the only surviving Savior who knows about Dwight’s double-crossing neighbor is there. She explains how she saw Dwight fire on saviors and it is obvious that Negan has been aware of the treachery for some time. Negan explains that Dwight came through for him a final time by delivering Negan’s fake plans to Rick. He tells Dwight that he has very special plans for him. 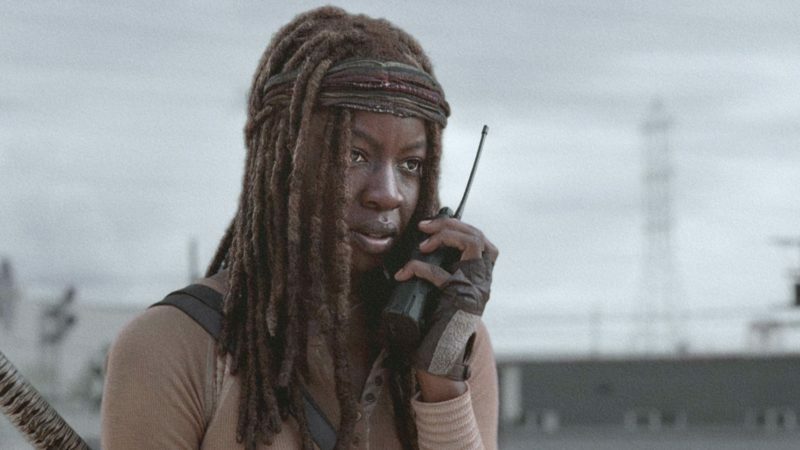 The show ends with Michonne (Danai Gurira) contacting Negan via walky-talky. She reads Carl’s letter to him. The letter is similar in tone to what he wrote to Rick, but melancholier. He basically argues that peace and togetherness is the only way forward. Negan ends the call by telling Michonne that the time for peace and talking is over. He crushes the radio with his boot. This was an incredible episode. We got to see Negan fight his second in command and got a lot of answers to lingering plotlines. Dwight has been revealed as a traitor and Rick has the wrong plans for Negan’s attack. Next week’s episode promises an end to the war, and honestly, it is time for something new. I cannot wait to see how the fight shakes out, though. It is going to be absolutely brutal.